We weren’t sure if Windows 10 was going to make an appearance at all Microsoft Build 2018. But sure enough, Microsoft delivered a few new exciting tidbits about its operating system and much more on the second day of the conference. Of course, Microsoft has made a recent habit of leaving its more consumer facing news to part two of its developers conference, so it really shouldn’t have been a surprise that the Redmond company would save its Windows 10 updates for last. 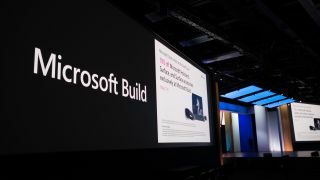 Without further ado, here are all the big announcements from Microsoft Build 2018 Day 2. It wouldn't be a Build Conference without a new app from Microsoft and this time around the software maker has introduced Your Phone. The Windows 10 app is designed to bring a mirrored version of your phone and putting it right on the desktop. With this app, users will be able to access texts, photos, and notifications all without having to pick up their phone. What’s more, this app can act as a direct data link between your Phone and PC from which you can transfer images, video and other media. Multi-tasking can get messy, but Microsoft is hoping to solve that by introducing Sets. The feature is a bit like creating a new desktop, but all within the same Windows. For example, if you were researching Pyramids, you could create a set including the document you’re writing on Pyramids and all the webpages on Pyramids. The result is a Windows that can have multiple tabs to not only different websites but also applications. Furthermore, Windows 10 will be intelligent enough to automatically create Sets for you. We might have just got a bevy of Fluent Design user interface flourishes in the Windows 10 April Update, but Microsoft had even more visual tricks to show off. On the Build 2018 stage Microsoft demonstrated a new depth effects both for viewing multiple windows on a traditional desktop and even more dramatic 3D effects for Mixed Reality experiences. Microsoft also announced it is bringing Fluent Design to Win32 applications, so we'll see more than UWP programs with Windows 10's spiffy visual effects. Adaptive Cards might be all too familiar to Google Now fans and now Microsoft is bringing them into the fold on desktops. On the Build 2018 stage, Microsoft demonstrated how Adaptive Cards for Microsoft Pay and Teams chat can plug directly into Outlook. Don't get too excited yet though, as Adaptive Card support will first come to the enterprise-facing Microsoft 365 before the consumer version of Windows 10 or Microsoft's other applications. While Microsoft isn't pushing a mobile platform of its own anymore, that isn't stopping the company from developing apps for other platforms. The Windows maker updated its Microsoft Launcher for Android to now support Timeline for cross-device application launching. Meanwhile, Edge on both Android and iOS also support Timeline, so you'll be able to recall your browsing history from any device. Microsoft wants its developers to have more money and their, and the company is going so far as to only take a 5% cut on the software it sells on the Windows Store, leaving the other 95% to developers. For most of the industry, app stores will take a 30%, so this move is unprecedented. This won't matter to most users, but the greater financial incentive to develop for Microsoft's platform could mean many more UWP applications coming to the Windows Store.